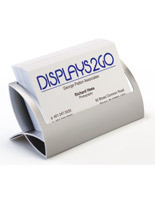 Lightweight and portable for use anywhere. 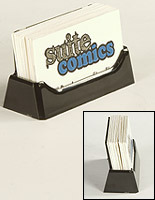 A vertical business card holder, also known as a desk accessory, encourages customers to take a card. 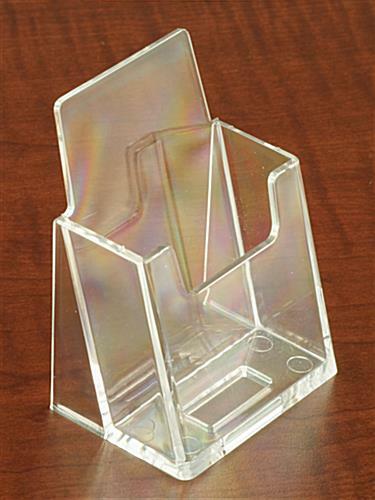 This clear plastic enclosure ensures the focus is on the contents, not the container.This business card holder features a vertical design. 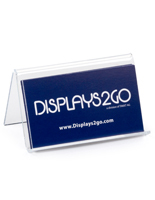 Many businesses use cards with upright designs and can't find fitting cases.The card holder is angled slightly back so your business cards don't fall forward and are always visible. 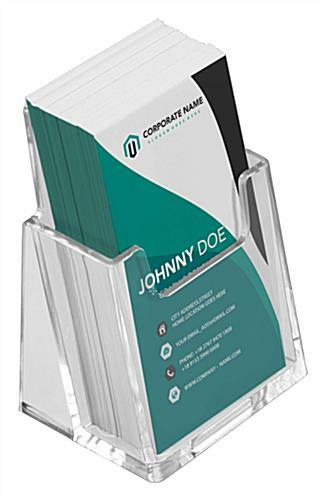 The vertical business card holder is constructed from lightweight, molded plastic. 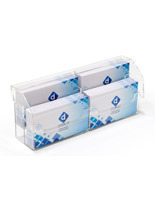 Many businesses purchase this model in bulk for use in multiple locations. 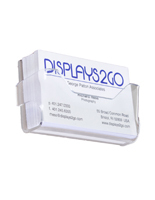 The business card holder, such as the plastic display, holds 2" W x 3-1/2" H business cards so they can be easily seen and read by customers. 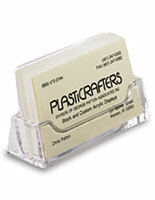 2.5" x 3.3" x 1.8"
2.3" x 2.1" x 0.875"
We are unable to accept orders for less than 40 units. 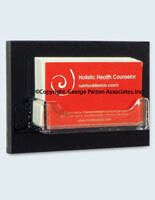 I ordered business cardholders. Navigating the website was smooth and seamless. My order came when expected. Very professional service. 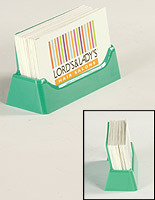 I'll be back when I need to reorder. Thanks for the great review, David!